The recent discovery of new TS Eliot poems demonstrates yet again that the world is hungry for glimpses into the archives of pre-eminent writers. The University of East Anglia, with permission from the Doris Lessing Estate, recently released previously unseen 1940s letters from the author. They attracted attention worldwide. A literary agent’s caution to the young Doris: ‘don’t be a prima donna till you are one,’ still reverberates on Twitter. The fever around ‘Go Set a Watchman’, the manuscript Harper Lee wrote, prior to what became ‘To Kill a Mocking Bird’, began with the discovery of the surviving early work in a vault. Its publication provoked controversy and divided opinion. It has, however, been widely celebrated for its insight into Lee’s creative process. She assumed the manuscript had been discarded. For literary archivists it is a salutary reminder that what survives and what is lost is too often left to chance. Authors sometimes wilfully destroy and of course reserve that right. Larkin’s diaries were famously put through the office shredder. A lengthy embargo might have served his purpose. The passage of time can diminish fallout quicker than we think. Some writers may see a failed poem or short story as a private act and regard what went into the creation of a published work as inferior and best left hidden. But for a literature scholar the opposite is true. While the published work becomes publicly available, material that went into its creation, showing the doubts and the false starts, is available only to a privileged few and potentially revelatory. How does an author in 2015 compare? Are we gaining, or losing in the era of ‘born digital’ manuscripts? 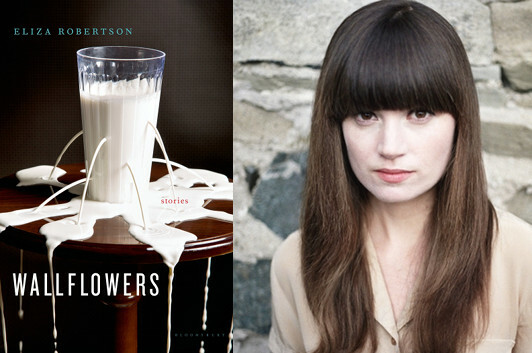 Eliza Robertson, author of the acclaimed short story collection, Wallflowers, and winner of the Commonwealth Short Story Prize, often writes directly onto screen but also writes longhand. Her short stories are edited on screen. She keeps email correspondence with her editor and agent and makes notes of conversations by phone. Draft novels are printed at certain stages but she does not retain the annotated prints. She travels often and wants to avoid being weighed down with paper. 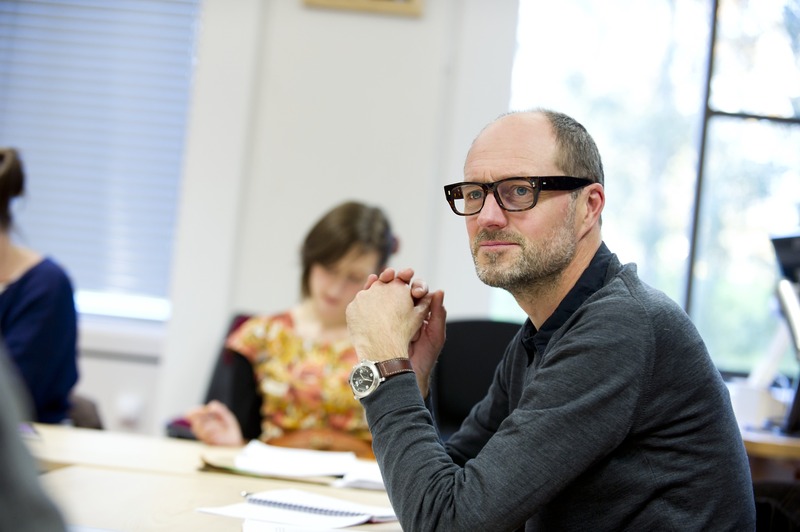 The novelist, Henry Sutton, also convenor of the MA in Crime Writing at UEA and co-convenor of the MA in Prose Fiction, has produced nine novels and is working on a tenth. After many months of thinking around an idea, he begins with a pair of A5 black moleskin notebooks. Once he begins a draft, the novel evolves exclusively online. There are two files, one a storyline and character file, the other a draft of the novel. In each case there is a patchwork of material across different devices: both analogue and digital. Each writer retains in print only what serves an immediate purpose. The handwritten annotations have been subsumed into the next draft. Editorial comments from Sutton’s publisher are often sent as ‘track changes’ and ‘comments’ to be accepted, rejected, rewritten. As we can note from past examples, writers’ papers are part of our literary heritage and may hold scholarly value. Occasionally they provide income for the author. If a pre-eminent writer leaves her archive to a UK institution, they can participate in the UK Cultural Gifts Scheme. US institutions and a few national archives sometimes pay considerable sums. So forging a few good habits early on seems wise. What can archives do to help? UEA recently established the British Archive for Contemporary Writing, an attempt to stem the tide of contemporary writing archives disappearing overseas; an audacious move given we do not have the acquisitions budgets of North American institutions who have built enviable collections of British contemporary writing. There is a determination to capture what might be lost through a lack of understanding. Archives of emerging writers will come to us on loan, leaving the author free to remove the material for sale at a later date. Loans are a risky business for a literary archive. Investing time, money and resource in a collection, only to see it removed and sold overseas, or worse broken up and scattered, is unthinkable. So why is UEA ‘doing different’? 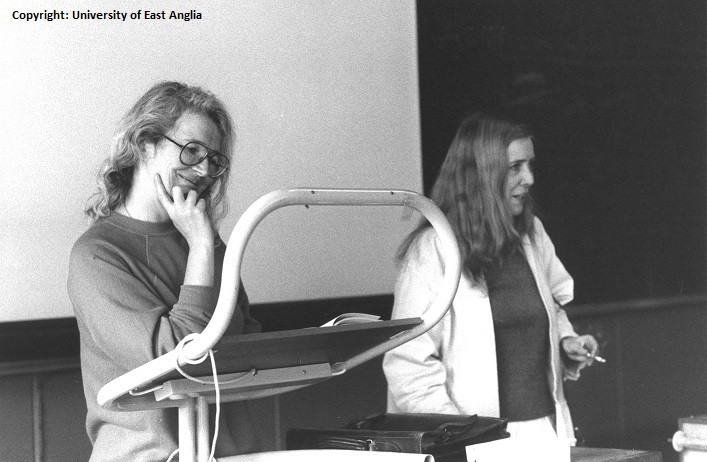 For more than forty years, UEA has helped many writers on their journey to critical acclaim and commercial success, so why not also encourage the safeguarding of their legacy. We have also learnt from losses closer to home. There are regular requests for the letters Angela Carter wrote to Lorna Sage both of whom worked at the University. As far as we know, they haven’t survived. The erasure of a similarly significant aspect of British cultural memory, potentially wiped with the stroke of a computer key, is something we care deeply about. Is the capture of rough workings out and drafts really that important? 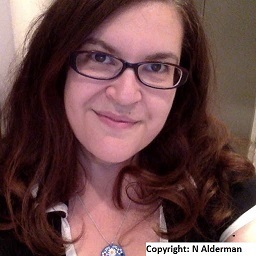 We recently acquired on loan the archive of prize winning author, Naomi Alderman. These papers include the entire collection of manuscripts from her time on the MA in Creative Writing in 2002-03. They are annotated by her tutors: Patricia Duncker, Paul Magrs, Richard Holmes and Michelle Roberts. Eleven fellow writers in Alderman’s workshop group provide comments chapter by chapter. Amongst them are Tash Aw, Diana Evans, Sam Byers and Afric Campbell – all of whom went on to win or be shortlisted for major literary prizes. As Alderman’s MA year progresses she tests out characterisation and makes choices over narrative voice and point of view. The novel evolves before our eyes and we read with the privilege of knowing what comes next in terms of literary success. The inclusion of an abandoned first novel, written in her undergraduate days at Oxford, only increases our insight. The digital stuff is easy, right? Just back up, stick it in the Cloud. Boom – all taken care of. Actually, no. Capturing and curating the evolution of a literary manuscript, has never been more challenging. There are significant legal and technological obstacles to overcome before we even get to persuading an author of what might be of value. For an archive, digital preservation involves ensuring that email and documents, regardless of platform and software, can be preserved and future proofed even if the technology that was used to create them becomes obsolete. Theoretically, a writer’s output on the Web and on social media can also be gathered using Web crawler technology. Once preserved, providing a researcher with access to this patchwork of output, particularly to email correspondence and social media interaction, involves data protection and third party copyright issues. The British Library is currently tackling these challenges, as it works to provide access to Wendy Cope’s email. The University of Manchester has proven it’s feasible to ingest the email of Carcanet Press into its institutional repository. UEA is about to embark on its own project to ingest the email archives (some languishing on Amstrad discs) of the poet George Szirtes. Archivists are collaborating on best practice in terms of cataloguing ‘born digital’ literary archives and we look forward to those vital discussions. Alderman’s working papers were sitting in a box. Szirtes’ Amstrad discs were languishing in a loft and Robertson and Sutton were discarding printed drafts. Without our interference, they may or may not have made it to an archive in the end. Whatever the ultimate destination of this material, we have safeguarded it for now and are creating access for researchers and for students of creative writing. This entry was posted in BACW and tagged BACW by archivesuea. Bookmark the permalink. Excellent thoughts on keeping an archive of your research and writing.